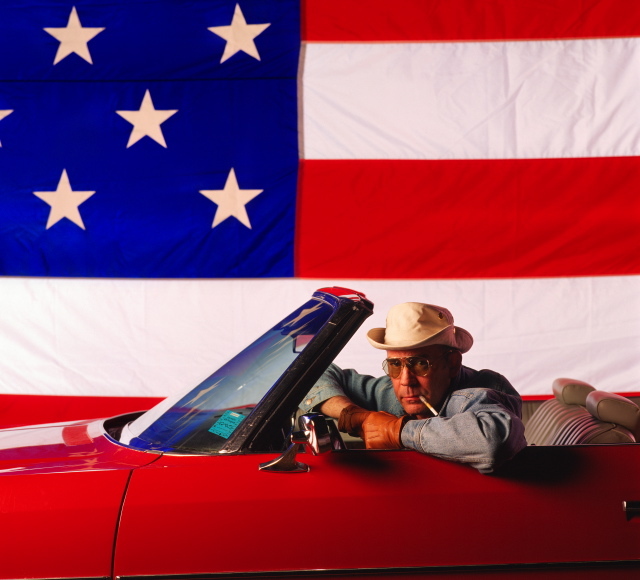 A brisk wind is blustering down from the snow-capped Rockies as Dr. Hunter S. Thompson, clutching a Bloody Mary, shifts his red Chevrolet Caprice Classic convertible into high gear…. Thus begins our reminiscence of the good doctor on the eve of news that the big screen version of The Rum Diary, based on his novel of the same name set in 1960s San Juan, will finally be released this fall. Johnny Depp will reprise the role of his late, lamented (and somewhat demented) friend. Read more at Driven. This entry was posted in Icons and tagged authors, Driven, Hunter S. Thompson, The Rum Diary. Bookmark the permalink.